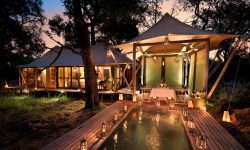 &Beyond Xaranna Okavango Delta Camp offers a beautiful Botswana safari experience and enjoys luxury with its own Delta island within a 272 000 hectare exclusive wildlife concession. The camp takes inspiration from the water lily, Xaranna. 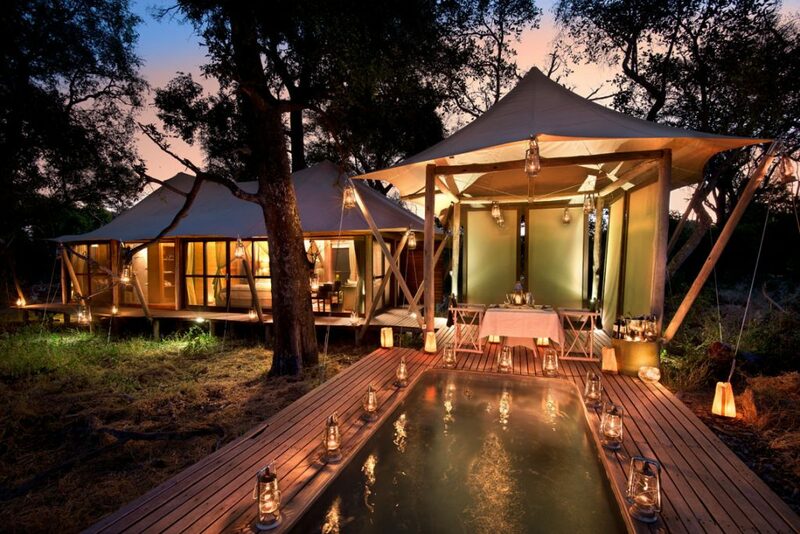 With only 9 safari tents, this intimate camp offers an exclusive experience of the amazing ecosystem. 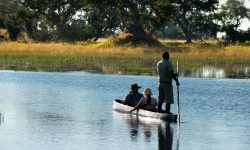 Depending on the season you can float gently along clear, intricate channels and explore the myriad islands of the Delta or embark on game drives camp. The camp has a light and airy atmosphere and blends into the environment. 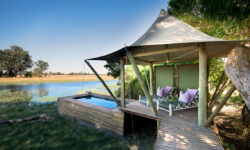 Each tent boasts a outdoor Sala, private plunge pool, indoor bathtub and a al fresco shower. The guest areas offer scenic views across the channels. 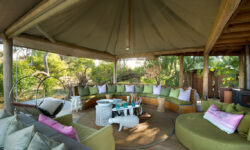 The elevated dining area features shady verandas with facinating views leading out onto an open-air boma where guests can experience candlelit dinners are served under the stars. A fully-stocked Safari Shop offers african art or safari outfits and much more. Game drives are with very highly qualified guides and rangers that will make your experience a memorable one.